As a pastor to single adults for 21 years, I learned people marry for many reasons; some are healthy, others are unhealthy. To escape singleness – Some people are so unhappy being single they will do almost anything to get out of it. To escape loneliness – Some mistakenly think marriage will solve their loneliness. To escape living with mom and/or dad – Some people see marriage as a panacea for problems in the home with a parent(s). To provide a mom or dad for your children – Some single parents are so tired from raising children alone that marriage appears to be an answer for the lack of a mom or dad. To take care of someone – Some people have a need to take care of someone else. To be taken care of by someone – Some have a need to be taken care of. To be provided for financially – Some people are not responsible enough to provide for themselves and think a spouse is the answer. Both have a genuine love and care for each other – There obviously needs to be a genuine attraction to, and desire for the other. Both desire to serve each other. Marriage is more about serving the other person than about getting one’s needs met. Love gives, hopes, endures, bears, and serves the other (I Cor. 13: 4-8). Both believe they can serve God better married than single. This should be explored before engagement. What are the gifts and abilities of both? How can they be used together? Both know it is God’s direction to marry. This is determined by evaluating the relationship to see if it violates biblical principles (believer marrying an unbeliever, marrying for wrong reasons, marrying before God’s timing, etc). Both have discussed issues of disagreement and can accept and live with the other’s different perspective. 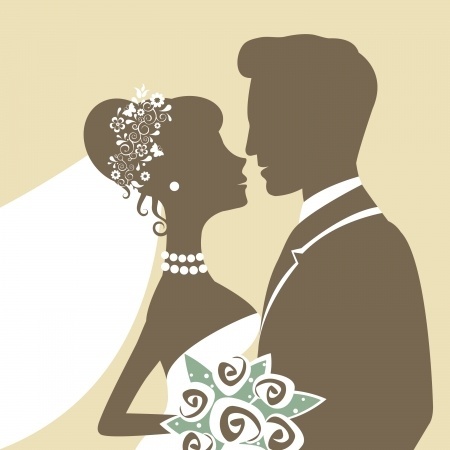 Potential conflicts should be explored in pre-marital and re-marital counseling. Both know it is the right time to commit to someone in a lifetime, legal marriage commitment. Schooling, finances, friends, career, family, spiritual and other issues need to be evaluated to know the right time to marry. Both are approximately the same level of spiritual maturity. People of the same approximate spiritual maturity have a stronger marriage. Both are marrying for the right reasons. Enough said. Marrying for wrong reasons is self-fulfilling, the opposite of what marriage is meant to be: self-sacrificing. Marriage is the second most important decision in life. It’s wise to put much time, prayer and evaluation into this life-changing decision.